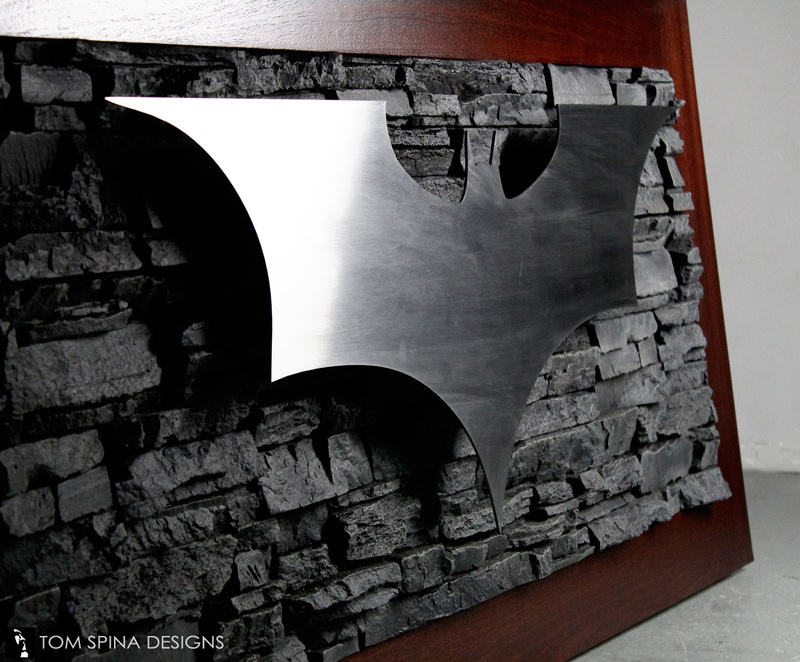 A custom superhero desk that could make Bruce Wayne jealous! 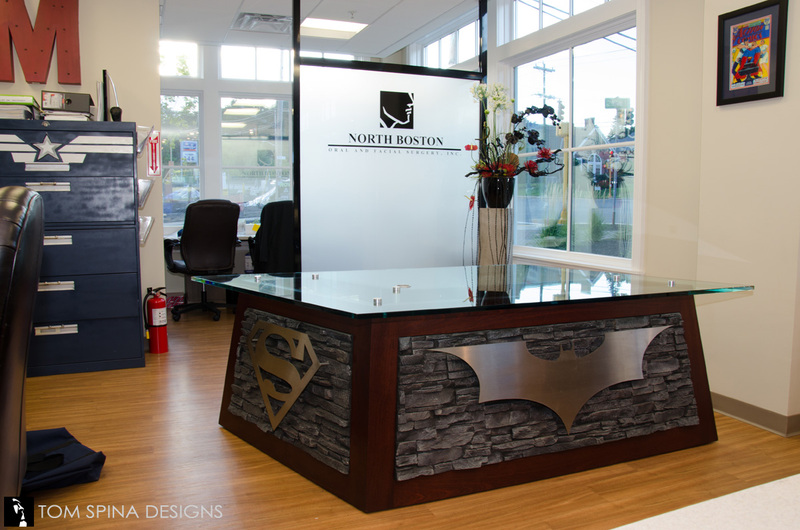 Our client was searching for a custom superhero desk for sale so they could enhance the theming at their Boston oral surgery practice. 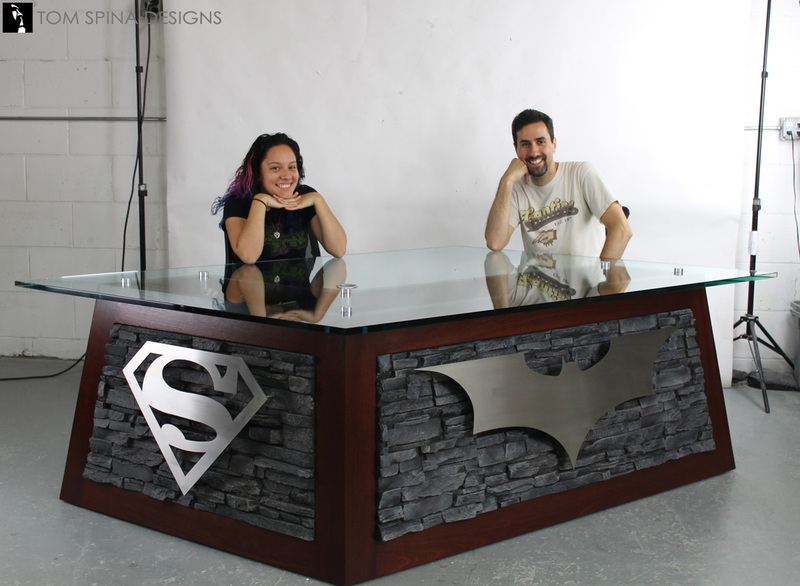 Movie themed desks and decor are some of our favorite things to create and we came up with a number of concepts which incorporated elements of their favorite super heroes, including Batman, Superman and Wonder Woman. 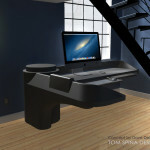 We were careful to keep our designs clean and stylish, versus doing something more over-the-top themed or cartoony. 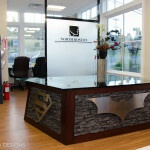 We wanted to maintain a high end feel to the custom furniture we’d be creating and enhance their reception area. 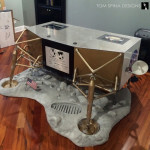 We built the concept on a unique parallelogram shape when viewed from the top. 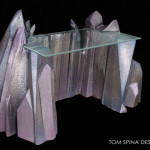 This shape allows the desk to comfortably seat 2-3 people at any time and gives it a very interesting and angular style. 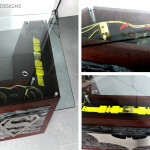 Speaking of style, the mix of materials help give this custom themed desk a truly classy feel. We chose a rich stained mahogany wood contrasted with dark faux stone and accents of brushed steel metal, topped with a heavy, one inch thick glass top. 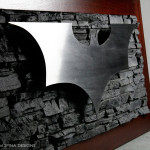 Just because it’s based on comic books and superheroes, doesn’t mean it has to be cartoony. 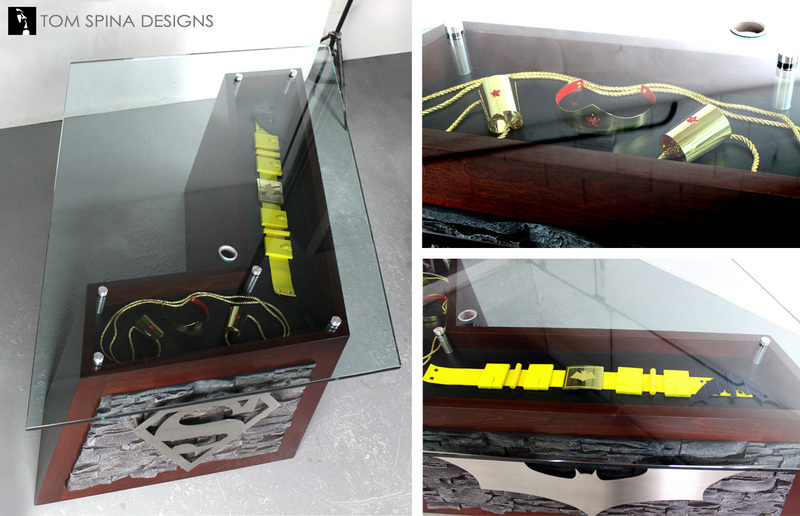 And last but not least, tucked away in the top of the wood portion of the custom desk is a recessed channel to display some of our client’s licensed replica props related to the classic 70’s Wonder Woman and the 60’s Batman TV series. 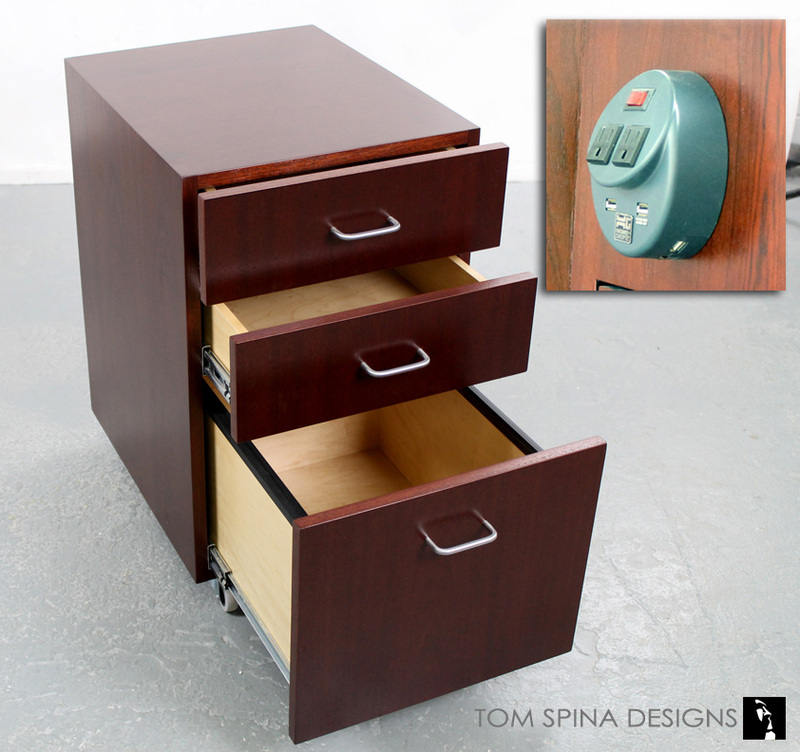 Special thanks to SMS Millwork in New York, for their help in bringing this piece to life! 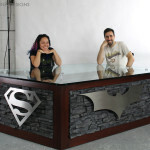 If you want to bring theming into your office, retail location or even your man cave at home, our studio can design and build all sorts of custom furniture, statues and characters, so don’t hesitate to reach out to us. 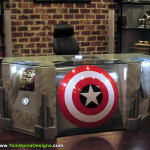 Looking for one of a kind superhero inspired custom furniture?